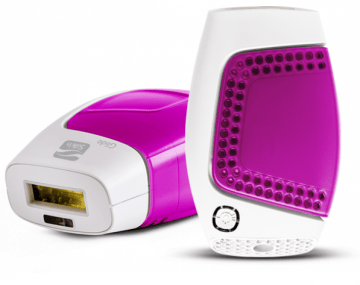 The Silk'n Glide 150,000 / Flash&Go Compact is a neat, compact, mains-powered home IPL device with an attractive price. The skin tone sensor keeps you safe so you can't flash skin that's too dark. It's very simple to operate and comfortable to use. The bulb flashes will last you over 5 years of full body treatments so it’s a great investment. But you may wish it had faster treatment times. Learn more in the full Silk'n Glide 150,000 and Flash&Go Compact review. Plenty of flashes to give 5+ years of use with monthly top-up treatments. A compact, light-weight, mains-powered and no-frills choice with built-in safety features for up to medium-dark skin tones. A slightly bulky design makes it hard to activate on your upper lip and other uneven surfaces. It’s slow on the higher intensity levels so good for treating smaller areas or splitting full body treatments into multiple sessions. A mixed bag so you’re left feeling a bit underwhelmed. An attractive budget price, often below £199 /$199. But read the full review to see if there’s a better alternative at a similar price. 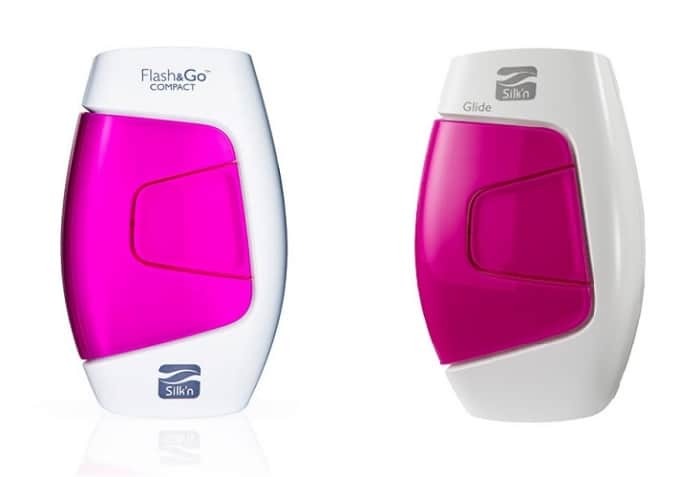 The Silk’n Glide / Flash&Go Compact is an Intense Pulsed Light (IPL) device that’s safe for home-use. After each treatment fewer hairs grow back and they grow back much more slowly. Eventually hair regrowth will stop. Periodic top-up treatments will keep you continuously hair free. The Silk’n Glide models were first available in the UK and Europe in 2014 where it’s called the Silk’n Glide 150,000. Introduced in 2016 in the USA, it’s called the Silk’n Flash&Go Compact. It’s FDA cleared and available for sale in the US and Canada. It’s got CE certification for EU standards and is for sale in the UK and Europe too. Silk’n Home Skinovations manufacture the device. The websites, user manuals and marketing approach are different across Europe and the USA. The USA provides a much better experience. Learn more in the review. In the UK and Europe a few older models are still available that give 50,000 and 30,000 flashes. There’s also the slightly more expensive and faster Silk’n Glide Xpress / Flash&go Express model. There’s a section in the review comparing them too. You start with 4 treatments at 2-week intervals (taking 6 weeks), then continue until you get your desired results. Periodic top-up treatments will then keep you hair-free. The Silk’n Glide / Flash&Go Compact with 150,000 flashes is a good no-frills budget option that’ll last ages. The speed of application is a bit slow so it’s better suited to treating small areas, or splitting full body treatments into multiple sessions. Keep reading this full in-depth review to learn what the online reviews say. What’s the feedback from the online Silk’n Flash&Go Compact reviews? Should I buy the Silk’n Glide 150,000 / Compact? Is the Silk’n Glide good value? Yes, the lamp lifetime is great. Combined with the 2.7 cm² treatment window, the 150,000 flashes mean you can cover a total body area of 405,000 cm². That’s enough for around 100 full body treatments lasting over 5 years of monthly maintenance top-ups. 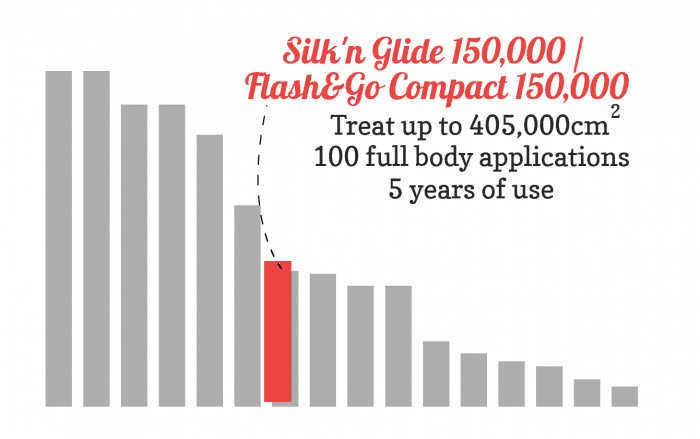 This chart shows how long the Silk’n Glide / Flash&Go Compact lasts you compared to other devices. The value is good. the 150,000 flashes mean you can cover a total body area of 405,000 cm². That’s enough for around 100 full body treatments lasting over 5 years of monthly maintenance top-ups. However, the application times are quite slow. Because of this it’s probably better suited to treating smaller areas like bikini line, underarms, tummy, forearms and face. You won’t notice the slower application speed here and you’ll get 200+ complete applications to last 15+ years. N.B. the years of use is based on the bulb life only. It doesn’t take into consideration general usage or wear and tear that effect how long the machine keeps working. Is the Silk’n Glide easy to use? The Silk’n Glide is a small, lightweight hand-held applicator that’s mains-powered, easy to operate, and comfortable to use. This model is dark pink and white. 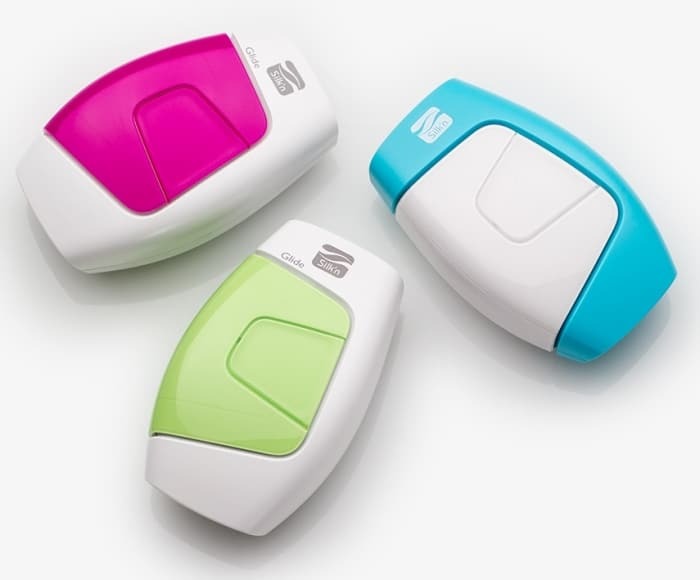 The only difference between the Silk’n Glide 150,000 and the Silk’n Flash&Go Compact model is the logos shown on the devices. The boxes for the UK and Europe and the USA and Canada are the same size but of a different design. 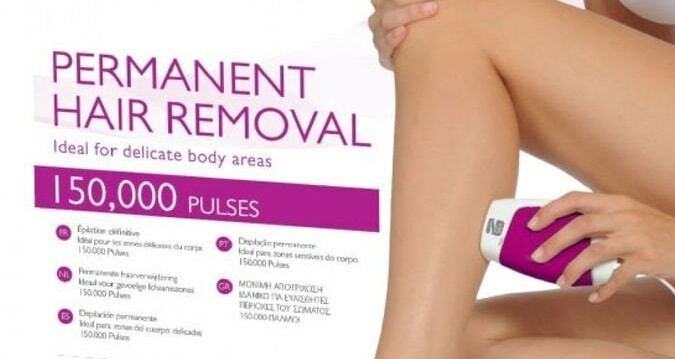 Both show the key information but also prominently feature the words ‘Permanent Hair Removal’ and ‘Permanent Results’. This is explained further in the user manuals but I find it an attention-grabbing statement that damages user’s expectations of results. The user manual for the UK and Europe is different to that for the USA. I find the USA version has a better layout design, is in a more logical order and easier to read. Nevertheless, they both contain all the necessary information to understand how the Silk’n device works and what to expect. Pay close attention to the list of warnings and safety precautions for important reasons not to use the device. IMPORTANT: With all IPL devices you must shave immediately before the treatment. But, in the UK user manual I spotted “Best results will be reached when you shave 3 days prior to the treatment or when the hair is 1-2 mm”. I checked this with the Silk’n support team and they acknowledge it’s an error. You must shave immediately before your treatment. Not a great first impression from the Silk’n UK user manual, nor has it been corrected in a downloadable version. There’s slightly different instruction between the UK and USA user manuals on how you start with the Silk’n Glide. Silk’n UK instructs you to perform your skin sensitivity test and intensity level selection in one. There are 5 intensity levels. 1 is the lowest and 5 the highest. For the skin test, shave first then after checking your skin with the skin tone sensor, simply start at the lowest level (1) and flash your skin on a test spot. If that’s comfortable move up a level and repeat (on a different spot). Stop if it becomes uncomfortable or painful. Move up the levels to the maximum indicated for your skin tone in the skin tone chart. Wait for 1 hour and, if there’s no reaction, continue with your treatment at the highest level that’s comfortable. Do this for each area you want to treat. This skin tone and hair colour chart is available on the packaging but not in the UK user manual. It provides guidance on which energy intensity is best for your skin tone. To get your fastest and best results first reference it to do a skin patch test so you start at the highest level safe for your skin. PLEASE NOTE: Silk’n indicate the device can be used on light blonde, red and grey hair. However, their website states that results MAY be possible with more treatments. So be aware results on lighter hair aren’t guaranteed or quick. The US manual says to start your first treatment on the lowest energy intensity setting. If it’s comfortable and there’s no reaction then move up a level for the next session. This means it’ll take you 5 treatments / over 6 weeks to reach the highest intensity level (if it’s safe for you). I think the advice in the UK manual is better because you’ll start your treatments on the highest level that’s suitable for you. And because the device is most effective on the higher levels you’ll get better and faster results. Raising the level each treatment means the advertised and expected results will take you longer to see. The Silk’n Glide devices have a simple operation and it’s easy to get started. A small safety sensor window next to the flash window checks your skin tone at the start and periodically throughout your session. It’ll only flash if your skin is in the suitable range. This protects you so you can’t harm your skin if it’s too dark for safe treatment. The smaller skin tone sensor window sits just below the larger flash window. It checks your skin tone before the first flash and periodically throughout your session. It won’t flash if your skin is too dark. To protect your eyes your skin must cover all the sensors around the treatment window. It’ll only flash when they’re all covered. This means you can’t accidentally flash into open air and damage your eyes. But it also makes treating some areas tricky. The Silk’n Glide has a single multi-use treatment window that’s safe to use on body and face. It’s 0.9 cm high by x 3cm long. The smaller skin tone sensor window sits below it. Online reviewers say it’s hard to activate a flash on curved, creased or uneven surfaces. That’s because it’s difficult to cover all the skin sensors with your skin on bony shins and ankles, or the small curve of your upper lip. You probably won’t be smiling like this when you treat your upper lip. It helps if you can create a flatter surface area by rolling in your lips or puffing out your cheeks. Pulling a few funny faces is obligatory! The flash window sits in the middle of the large flat and ‘bulky’ end too, so it’s not always easy to position the flash window exactly. One reviewer even used a marker to mark where the flash window is positioned on the side of the device! Coupled with the problem above, it makes for awkward and ‘clunky’ application at times. The Flash&Go Compact has 2 standard treatment modes; stamping for a single flash (called Pulse) or continuous flashes (called Glide). Pulse mode: making sure you get full contact, position it on your skin, then press and release the flash button. With just the right amount of overlap, move to the next spot and repeat. It’s like a stamping action. Glide mode: position the device on your skin, press and hold the flash button. Keeping good contact, slowly slide (or skim) the device over your skin. Aim to get good coverage and full contact in time with the flashes. It’s more comfortable for treating larger areas like legs. Silk’n recommend using Glide mode with the lower intensity levels for a quicker application. And using Pulse mode on the higher intensity levels with a slower repetition rate. But you can keep the flash button pressed for continuous flashes even on the higher intensity levels. This keeps the operation simpler and more comfortable, but will take a while to cover larger areas. The Silk’n Glide / Flash&Go Compact has 5 energy intensity levels (1 is the lowest). Silk’n advise using Glide mode with the lower intensity levels for a quicker application as the flashes are fastest here. But bear in mind your results will be best on the highest intensity level safe for you, so you may compromise results using a lower level during your start-up phase. So how quick is it? The Silk’n Glide has a 2.7 cm2 treatment window and it takes up to 3.5 seconds between flashes. This means it has slow treatment times so it’s best for treating smaller body areas like the bikini line, underarms and forearms. The Flash&Go Compact has a 2.7 cm² treatment window and it flashes every 1.5 to 3.5 seconds, dependent on the intensity level selected. To treat a pair of underarms (an area roughly 120 cm²) it’ll take from around 1:07 minute up to 2:36 minutes. The lowest intensity level (1) flashes every 1.5 seconds. The highest intensity level (5) flashes one every 3.5 seconds. The higher intensity levels are more effective so you should use the highest that’s safe for you. This means slow treatments if you can use the highest levels. Silk’n say it takes 16 minutes per leg. A reviewer said it took slightly longer at 20 mins per leg. That’s slow and faster choices are available if you want to treat large areas like full legs, back, torso. 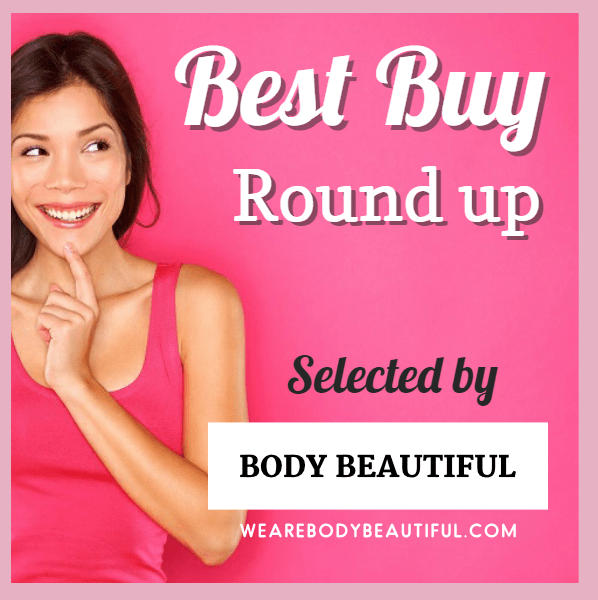 It’s better suited for small areas such as the bikini line, forearms and underarms. These treatments are quick to cover and much more manageable. Check out the alternatives section for faster alternative choices at a similar price. Find a helpful assistant! This means you don’t have to bend and contort to reach all areas so it’s much more comfortable for you. If you must go it alone try splitting your treatments into 2 sessions lasting around 30 mins each. For the first session treat your lower legs, underarms and face. And in the second finish with your upper legs, bikini line and tummy! This way you can concentrate on getting the best coverage possible, and not on how long it is taking. Use the Silk’n App to plan and track your sessions so you don’t lose track of where and when you’ve treated. Use an extension cable in front of a full-length mirror so you can use all the power-cord to manoeuvre around your body. From all of the collated online Silk’n Glide 150,000 reviews and Silk’n Flash&Go Compact reviews it scores an above average 3.6 stars. 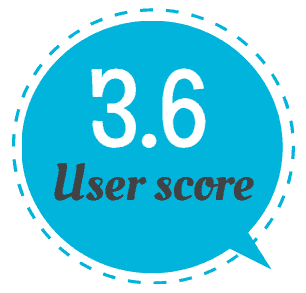 The reviews shown on Silkn.com have a healthy average score of 4.1 stars. However, this is an average score for all their current and previous HPL models including the Compact. So, it’s hard to ascertain the actual feedback for the Compact model here. I’ve excluded the Silk’n reviews from the user rating score because of this. From Amazon, the quality of the reviews isn’t as good as expected. Most leave little information to explain their rating. It’s a mixed bag and it leaves you feeling underwhelmed and undecided. Here’s what we learn from the helpful Amazon reviews. Just under a third of reviews leave a low score. So, what do they report? Quite a few received a two-pronged plug with the Silk’n Glide 150,000, which is unsuitable for usage in the UK. But the latest reports were back in January 2015, so this doesn’t seem to be an issue anymore. A handful of reviewers reported faulty devices. A couple had issues with the power plug. And the rest where the device stopped flashing. Although some reviewers did not realise it, the Silk’n manufacturer warranty covers this fault within 2 years of purchase in the UK, and 1 in the USA and Canada (but if you buy from Silkn.com this is doubled). Be sure to retain your receipt for proof of purchase. Smaller critical feedback includes the poor instructions in the UK user manual and that treatment times are slow. A few share it’s awkward to treat the upper lip because the flash window is on the end with a ‘large border’ around it. This makes it difficult to position the sensors on curved areas and creases, like just under the nose. A couple also report it takes practise to get accurate coverage on your skin. That’s because the treatment end is bulky and flat so it’s hard to gauge where the flash window is as you move it between flashes. There’s also a higher number of reviewers who don’t experience the expected results. A couple are unsuitable to use it, with blonde hair, and dark skin. Several others say it doesn’t work but don’t share how long they’ve used it so it’s not clear they’ve completed the start-up phase. For a good portion more, they’re about half way through the start-up phase. Some have completed only 2 or 3 sessions. This is too short a time to try and expect best results. Some say it doesn’t work after 6 or so treatments. This timeframe is in line with the Silk’n guidance to see ‘very good results’, but several other reviewers note it takes longer and you need to keep going. A handful leave reviews after long-term usage ranging from 6 months to 1 year. One reviewer used it for 6 months on facial hair with little results. Another for 10 months with no effect on her chin but some results on her underarms. The neutral reviews come from those yet to use it and a few who report some slow results. Although it’s worked to varying degrees, they expected more to give a positive rating. One has hair-free patches after 10 months, and another a slower regrowth rate after 1 year. One lady keeps top-ups going at 9 months and she’s disappointed the results aren’t “permanent” as she was lead to believe from the packaging. The Silk’n Glide 150,000 has the prominent words “Permanent hair removal” and the Flash&Go Compact says “Hair removal, permanent results”. Our expectations around ‘permanent’ don’t match the reality and this is misleading. Learn more here about that. 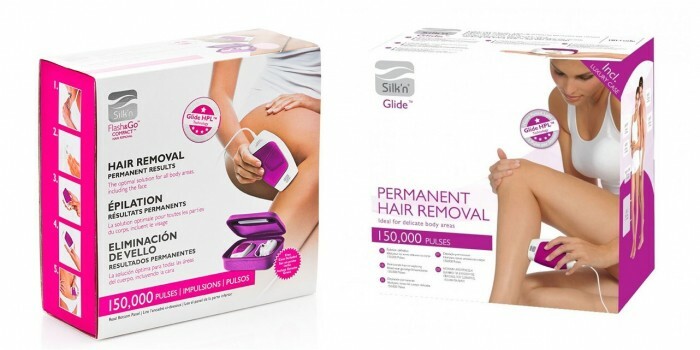 The messaging on the Silk’n Glide 150,000 packaging is attention grabbing with the words “Permanent hair removal”. It sets a misleading expectation that after you’ve used it you’ll never have hairs growing again. This is inaccurate and it upset some of the online reviewers. But almost 60% leave positive ratings and some helpful feedback. A high number of reviews are brief and they really like the device but don’t explain their reasons. Positive initial impression feedback also comes from people who haven’t used it yet. Or from people who have used it just a few times. This includes a few Amazon Vine reviewers who receive the product in exchange for an honest review. Loads love that it’s compact and easy to use, if a bit time consuming. They like the carrying case and Glide mode. They recommend the calendar App to keep track of your treatments to get the best results. No one mentions the power-cord so it’s probably long enough and won’t get in the way. And many mention that there’s absolutely no pain during the treatments. Reviewers like the compact and easy to use design. The storage case is also a nice touch. A handful compare it favourably to other devices from Silk’n, or that Silk’n manufacture i.e. the Veet Infini’Silk. Several report good results too. 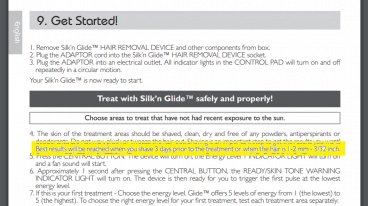 The Silk’n Glide start-up phase is 4 treatments at 2-week intervals (this takes 6 weeks), then as Silkn.com suggest ‘treatments should be done if hairs have re-grown or until you reach the results you desire’. Top up treatments will maintain your results, as and when you see regrowth. Silkn.com states that generally most notice hair growth lessening after 4 treatments, and very good results after 6 treatments. Lots of reviewers report it works but unfortunately don’t say how long they’ve been using it. They say they’re “extremely happy with the results!”. One is very happy and she’s ready to “bare my legs and tum in a bikini this Summer”. Those that do note timeframes see hair reduction results from as few as 2 or 3 treatments. Other’s results take longer after 6 treatments. This matches the start-up phase expectations. Around a handful of reviewers note they use it more frequently than advised and are seeing even better results. Results include slower, patchy, thinner and softer hair regrowth. You can go weeks between shaves instead of just days. Some report fewer ingrown hairs too. Some report slower results on different body areas. For example, one reviewer reported slower results on her underarms than on her legs. Silk’n customer support responded to this and advised she use the device weekly instead of every 2 weeks on these smaller areas with more stubborn hair. That’s interesting and a shame it’s not clearly stated in the user manuals or on the websites. I wonder how this would affect the speed and quantity of hair growth reduction if recommended in the start-up regimen? In light of the mixed online feedback it’s important that the customer support from Silk’n provides reassurance and trust should you need to call on them. There is a Silk’n App available to all. This is good as you can schedule your treatments to stay on target. However, the names of the devices shown in the App don’t match those promoted on the websites. You’ve access to the user manuals and good FAQs. The information is clear and accurate overall. I love that you get a double warranty (2 years) and a 60 day money back guarantee if you Buy from Silkn.com. That gives peace of mind to cover any fault and the guarantee is long enough to complete the advised 6 treatments to see good results or return it for a refund. You can contact the support team by email or phone. They respond quickly and comprehensively to questions and queries. I felt reassured and trusted if I had any issues this team would be on hand to help. It’s not so good on Silkn.eu/en for those in the UK. You can’t access FAQs or a current user manual for the Silk’n Glide 150,000 because the links don’t go anywhere. There’s confusing and contradictory information too (see section Silk’n Glide 150,000 vs the Silk’n Flash&Go Compact below). The site attempts to explain HPL (Home Pulsed Light) is. But after reading how it’s different to IPL, I’m left thinking it sounds exactly the same and maybe they’ve given a trademark to an acronym so it sounds unique to them. I’m not sure. You do get a 2 year manufacturer warranty wherever you buy from, but unfortunately no money back guarantee period if bought from Silkn.eu/en. You can contact the UK and Europe support team by email or phone and I found the responses took more than a few days and weren’t always helpful. I didn’t feel the same level of confidence or trust I’d be looked after as well here. The devices are identical save for the logos printed on them. However, there are a few differences with how the UK and Europe market the Silk’n Glide device. The differences include safe skin tones, suitable hair colours and tanning. I’ll cover these here because it’s important you have the facts before you buy. 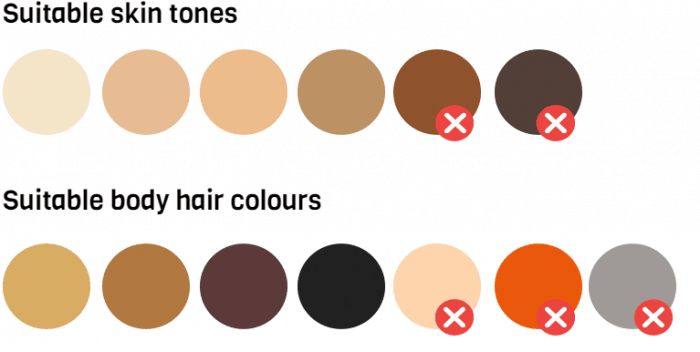 I’m left confused by the UK guidance on safe skin tones. The USA manual and website (silkn.com) states clearly ‘DO NOT USE Flash&Go™ on naturally dark skin!’ and that it’s suitable for light to medium tones. There’s a video that supports this. This is a still from the instructional video for the Flash&Go compact from Silkn.com. It states the device is safe for light to medium skin tones, and not suitable for naturally dark skin tones. However, the UK manual and website states the Silk’n Glide is ‘Also suitable for darker complexions’ on intensity level 1 . Yet both the UK and USA user manuals feature an identical skin tone chart (below) – so you see my confusion? 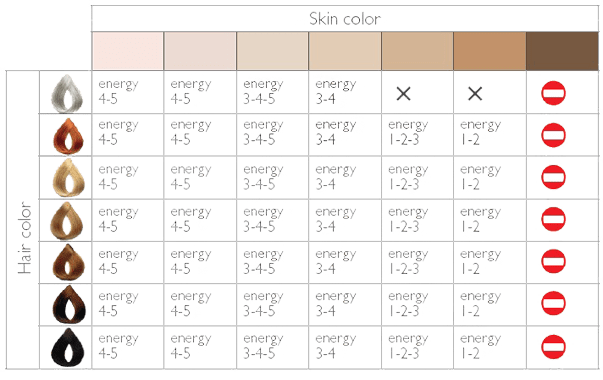 This is the skin tone chart shown in both the UK and USA user manuals and on the websites. But the UK says you can use the Silk’n Glide on darker complexions if used on level 1. The chart contradicts this. I recommend the safe skin tone range is light to medium-dark as per the USA website guidance (Fitzpatrick types I to IV) and as this skin tone chart seems to suggest. And unlike all other home use IPL brands, Silk’n don’t use the Fitzpatrick classification chart so it’s difficult to compare. This is a very important point. If you have a darker skin tone and are considering the Silk’n, it’s firstly important to know it’s safe. Secondly you need to know it’ll work for you (the skin tone sensor won’t flash if your skin is too dark). So, is it suitable for darker complexions or not? Silk’n Europe customer support didn’t clarify and wouldn’t advise based on the Fitzpatrick scale. So, using the supplied chart, I’d suggest the safe skin tone range is indeed medium-dark as per the USA website guidance (so up to Fitzpatrick IV). 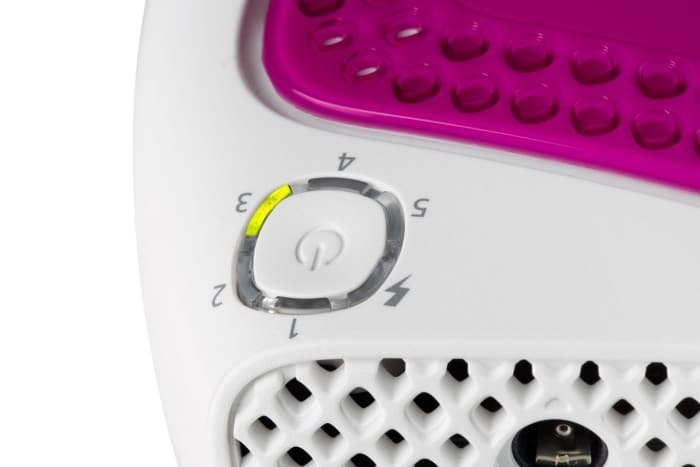 This is consistent with the guidance on Silkn.com for the sister model the Silk’n Flash&Go Express. Here they do reference the Fitzpatrick scale and state the it’s ‘ideal for use with lighter skin tones (I – IV on the Fitzpatrick Skin Tone Classification Scale)’ and they display the same skin tone chart. You’ll notice on the skin tone chart above it implies you can treat lighter hair colours (blonde through to red and grey). I find this misleading. Are Silk’n trying to cover all bases here? Personally, if I was going to try it on fair hair I’d want something concrete to say it does work in all cases. Flash& Go Compact states clearly to avoid sun exposure for 4 weeks before a treatment, and to avoid the sun / tanning for 2 weeks after your treatment. You should also use a sunscreen SPF 30 or higher for 2 weeks after your treatment. This guidance is consistent with other home-use IPL devices and it’s made to protect you. Your skin is extra sensitive after tanning, and that increases the risk of side effects from IPL, such as burns, blisters, discolouration and scarring. Your skin is more sensitive after your IPL treatments too so there’s a higher risk of sunburn if you go out in the sun. The Silk’n Glide 150,000 is consistent with the USA manual if you’re using the device on intensity levels 2 to 5. However, if you use it on level 1, it’s different. Here it says you can use the lowest setting (level 1) before and after sunbathing. All other home IPL devices have similar strict guidance as per the USA manual. The Silk’n Glide is unique here. Based on this guidance you could use it during the summer months for top-ups with just your usual sun skincare routine and no extra precautions. This assumes you have already reached your best results using the device at the highest level suitable for your skin and that level 1 intensity level is enough to maintain these results. Silk’n Home Skinovations manufacture both with an identical specification, so it seems strange they have different advertised benefits. Unfortunately, I didn’t receive a helpful answer from Silk’n on this. But I assume it’s down to the FDA clearance necessary in the US to market a device. If that device isn’t cleared for a specific use i.e. after sunbathing or dark skin tones, you can’t market yours as safe for it either. This would explain why in the USA the Flash&Go Compact does not and can not market the device as safe for darker complexions or tanning on intensity level 1. I’ve asked for further information from Silk’n to help clarify the differences. There are 3 models of the Silk’n Glide available in the UK and Europe. The only difference here is the colour, the 150,000 model / compact comes with a storage case, the and number of lamp flashes with each. The number of flashes determines the lamp lifetime of each device. Silk’n glide 150,000 flashes provides a total treatment area of up to 405,000 cm². That’s great value and provides 100 full body treatments lasting 5+ years, but note that the application speed is slow on large areas and faster choices are available. Silk’n glide 50,000 flashes provides a total treatment area of up to 135,000 cm². That’s about 30 full body treatments for up to 2 years of monthly use. It’s also better suited to smaller areas because you’ll get around 90 treatments lasting 5 years of top up treatments. Silk’n glide 30,000 flashes treats a total body area of 81,000 cm². that equals 20 full body treatments for around 1 year of monthly use. It’s better suited to small area treatments like bikini line, underarms and face because you’ll get around 50 complete treatments which should last up to 3 years. The most attractive alternative to these Silk’n Glide / Flash&go Compact is the newer and faster Silk’n Glide Xpress / Flash&Go Express. It has the same compact, no-frills design and an attractive deep blue colour. It’s twice as quick to apply so it’s a better choice for full body and large area treatments. You get twice as many flashes too, enough to last up to 15 years of use. It usually sells for below £200 / $299 and is worth the extra cost if you can afford it. Here’s a quick round-up of the pros and cons to help you decide. It’s slow on large areas so isn’t ideal for full body treatments. Try the faster Flash&Go Express / Silk’n Glide Xpress instead. Should I buy the Silk’n Glide? The Silk’n Glide 150,000 / Flash&Go Compact is a good low-cost choice for treating small body areas like the bikini line, underarms and lower arms. The Silk’n Flash&Go Compact is an attractive, low cost choice. It’s a good choice if you live in the USA & Canada. That’s because of the excellent customer service and 60 day money back guarantee period here. It’s especially suited to treating the bikini line, underarms, tummy and forearms (but takes practise on your face). It’s a no-frills choice that’s safe and functional, so you need realistic expectations about the basic design and build. You’ll get loads of treatments from it, so it’s a great investment that will see you through years of use. The negatives are a shape that’s a bit awkward, specifically on facial areas and uneven surfaces. It’s slow and tiresome on large areas like legs. But on smaller areas like the bikini line, forearms and underarms it’s fast enough and does the job. 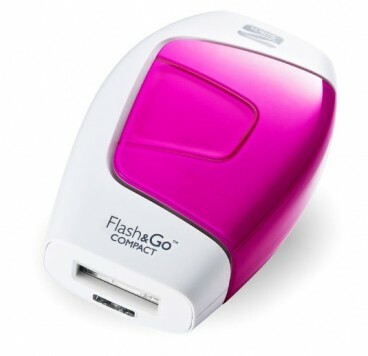 The mixed online reviews may put you off, but I think the Flash&Go Compact is an attractive choice in the USA and Canada. That’s because the customer service is great and there’s a 60 day money back guarantee period if bought from Silkn.com. That’s excellent peace of mind. Being able to use it on sun-exposed skin is also a plus (level 1 only). You can use it for quick top-ups during the summer months with just your usual sun care routine. 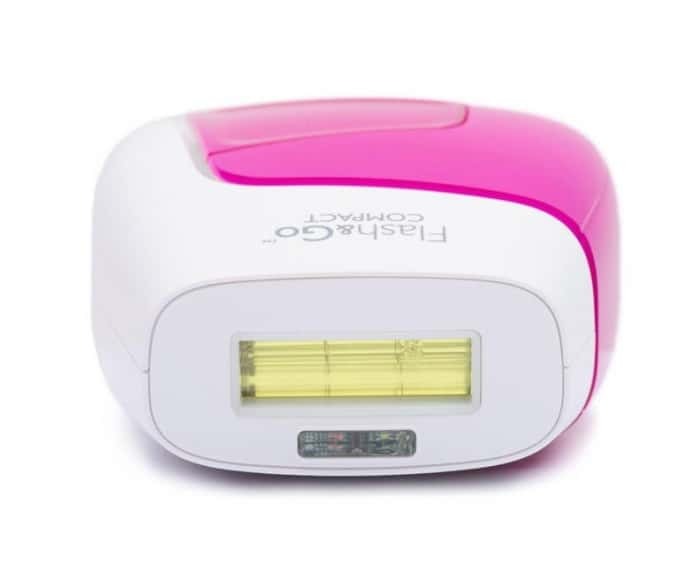 You can check prices or buy the Silk’n Glide 150,000 or Flash&Go Compact using the links below. Buy from Silkn.com: USA & Canada orders, free shipping and 60 day money back guarantee. Check Silkn.com for other offers.